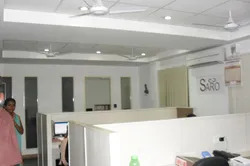 SARO STEEL - started in Aug 2002 under the Auspicious Guidance of our Guru Sri Sureshwara Acharya is a Proprietrix concern with Mrs.Malini Srihari as Proprietor of the firm. The company is efficiently managed by P.S.Srihari, in his designation as CEO of the company, who has got about 25 years experience in the steel industry. Starting with a humble beginning, our turnover is set to cross many milestones in the coming years. 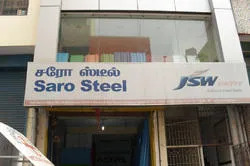 We are pleased to state that, we are the Authorized Distributors for "JSW Steel Ltd" (formerly Jindal Iron & Steel Co.,) in the state of Tamil Nadu to deal with their range of products specializing in GP, GC & Colour Coated products. We source the material directly from their plants and supply them to our dealers throughout the state of Tamil Nadu. We are proud to be associated with TATA BLUESCOPE STEEL – a joint venture between TATA Steel, India and Bluescope Steel, Australia, as their Sole Distributor for the state of Tamilnadu to market their EZYBUILD Products – Light weight structurals, which could be used as a replacement for MS Tubes & MS Pipes. 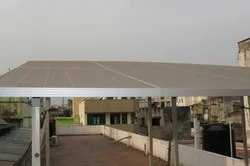 We are also one of the leading stockist for Colour Coated Roofing Sheets in the city, providing complete Roofing Solutions, including erections of shed. Our product range to consumers and industries include G.C.Sheets, G.P.Sheets, C.R.Sheets, M.S.Angles, M.S.Channels, R.S.Joists, M.S.Plates, M.S.Pipes, Poly Carbonate Sheets, Colour Coils, Prepainted Galvanized Sheets and Galvalume Sheets. Our Corporate Office is situated 89 (New No #20), Rasappa Chetty Street, Park Town, Chennai-600003. In order to cater to the Wholesale & Retail needs of the customers we have warehouses at Manali, Sathangadu, Chennai. We have also spread our wings to Salem & Coimbatore by opening our Branch Offices at these two fast growing hubs of Tamilnadu.We are proud to state that we have our own Profiling Unit and a modern stockyard with 7500 sq.ft of covered Godown, at the recently launched Iron & Steel Market Complex at Saathangadu. We are well equipped with the latest telecommunication network and also well supported with an efficient manpower team. As our company is poised to grow we look forward in being associated with your esteemed organization. Please do visit to our website mentioned above for more details about our company. We are leading suppliers and distributors of Coated Steel Products for JSW Steel Ltd. We are also the sole distributor for "TATA Bluescope - EZYBUILD" - light weight structural. 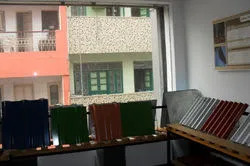 Our range of products include GP Sheets, GC Sheets, Colored GC Sheets, Pre Painted Galvanized Sheets, PP Galvanized Trapezoidal Sheets, CR Sheets, Mild Steel Structural, Galvanized Sheets. We have created a name for ourselves in the market for our products. Our attempt to keep our customers at priority has been achieved by keeping us one step ahead of our competitors. Our products are supplied in accordance with the international standards. They are known for their strong built up features and high efficiency levels. World - Class Steel maker – Ranked 2nd by World Steel Dynamics in June, 2010. India's Largest Private Sector Steel making capacity – Largest Integrated Steel Capacity of 7.8 million tons per annum n India in the private sector. Green Steel – Only plant in the country with Zero effluent discharge. 1.2 million Trees planted at Vijay Nagar Works in just 12 years. India's Largest Coated steel producer (0.9 Mn TPA). Our experienced and dedicated team of experts is able to provide the clients’ with the quality products. Most important inbuilt strength of our company is to enable the client by providing the products as per his requirements. In coordination with each department they strive hard to provide the clientele with the best of their products and services. We are able to sustain the challenges of the industry with the active support of our team of experts. They work in close coordination with each other, in order to fulfill the goals and objectives of our organization. These personnel are equipped with enriched industry experience and immense product knowledge. Tata BlueScope Steel is an equal joint venture between Tata Steel and BlueScope Steel, Australia in the field of coated steel, steel building solutions and related building products. The Company operates in the South Asian Association for Regional Cooperation (SAARC) region. The company’s core values are Safety, Trust, Human Dignity and Excellence. Gratitude unlocks the fullness of life. It turns what we have into enough and more. It turns denial into acceptance, chaos into order, confusion into clarity..It turns problems into gifts, failures into success, the unexpected into perfect timing, and mistakes into important events. 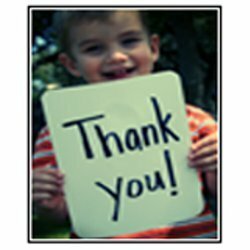 Gratitude makes sense of our past, brings peace for today and creates a vision for tomorrow. - Melodie Beattie. Our Guru "Sri Sureshwara Acharya"
We take this opportunity to thank everyone who have supported us, been there with us through thick and thin! 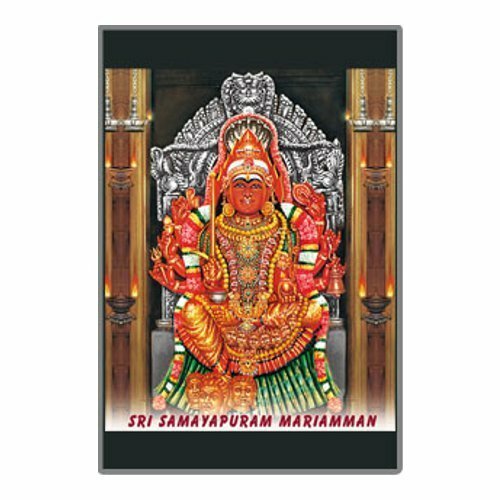 We thank Our Guru "Sri Sureshwara Acharya", Our Goddess "Sri Samayapuram Mariamman" and our ashram "Sri Samayapuram Ashrama", Bangalore. Our Goddess "Sri Samayapuram Mariamman"
Samayapuram Mariamman Temple is a Hindu temple in Samayapuram near Tiruchirappalli in Tamil Nadu, India. The main deity, Samayapurathal or Mariamman is made of sand and clay like many of the traditional Mariamman deities, and hence unlike many other Hindu deities there are no abhishekams (sacred washing) conducted to the main deity, but instead the "abishekam" is done to the small stone statue in front of it. 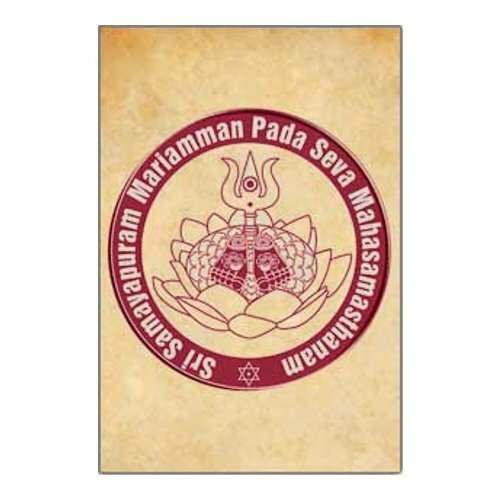 Our Ashram Sri Samayapuram Mariamman Pada Seva Mahasamasthanam, was founded in the year 2002, by our guru, our beloved Swamiji, Sri Sureshwara Acharaya. His Holiness Sri Sureshwaracharya, is a spiritual teacher leading the disciple on the path of "God-Realization". He enlightens our minds and educates us spiritually. 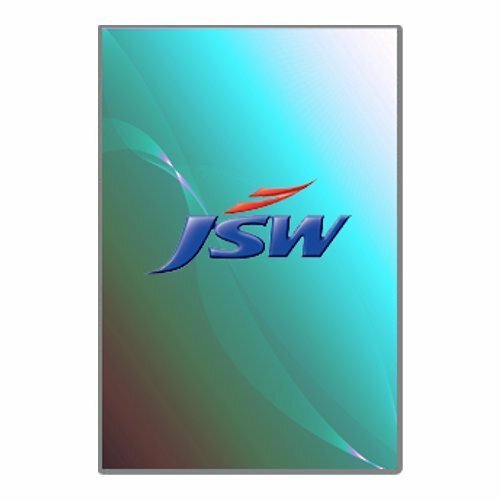 JSW Steel, the flagship company of the JSW Group, is today an integrated steel manufacturer. JSW Steel is the largest private sector steel manufacturer in terms of installed capacity.